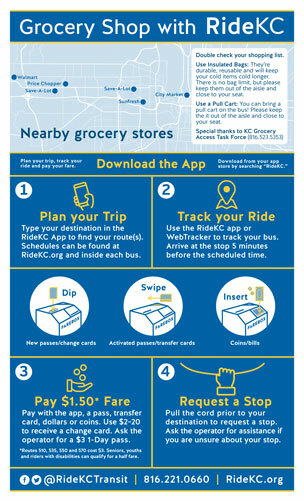 KC Healthy Kids, in collaboration with RideKC, is making grocery shopping by bus easier. The resources include tips for planning meals, planning a trip to a grocery store, and transit-friendly recipes, plus links to food assistance programs. 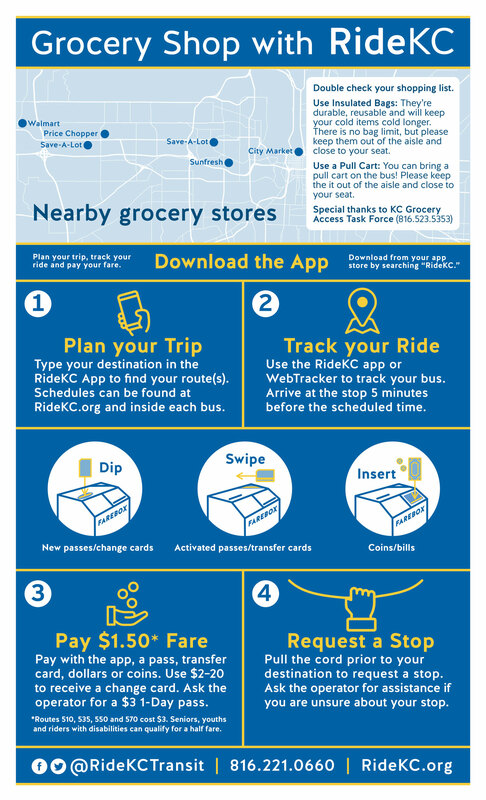 There is even a map showing grocery stores that are closest to RideKC bus stops and those that offer Double Up Food Bucks. The Greater Kansas City Food Policy Coalition’s Grocery Access Task Force analyzed eight bus stops near grocery stores. At those bus stops, there are signs with tips for grocery shopping with RideKC. “If you don’t have a reliable car, a trip to the grocery store can be difficult and that can influence what you buy,” says Beth-Low Smith, Vice President of Policy at KC Healthy Kids. “These signs and trip planning tools help to put healthy groceries within reach of bus riders,” she adds. Research has shown that people are more likely to walk, bike or use public transportation to get to their destination, including a grocery store, when conditions are safe and transportation is accessible and affordable.